T-90 three speed manual transmission, Spicer 18b transfer case, stack Dana 44 front end, and Spicer 53 rear end with 4.88 gears. How did the Jeep FC preform? 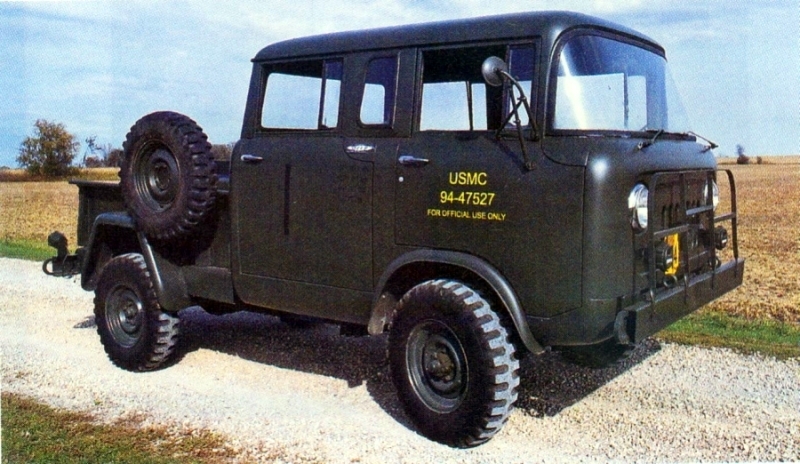 I have only once met and gotten to talk briefly with a gentleman who actually drove one of these Jeep FC’s with the 3 cylinder Diesel while he was in the Marine Core in Vietnam. He was saying that it took a bit to get them things fired up but once they were running they just chugged along forever. If you didn’t mind the smell of half burned Diesel, he told me that the reliability seemed great. He was telling me under the circumstance he really didn’t go out of his way to test the 4×4 capability’s because if you are stuck, you are pretty much a sitting target for Charlie. But he also mentioned that it had never let him down. Ah, to live back in the days when vehicles were functional, reliable and simple. When you think that way, this Jeep FC just stands out in that category don’t you think? See ya in the Hills! Have you ever driven one? let me know on Facebook!